Anthony Verbrugge founded the company. On 1 January 1958 he set up his transport company in Terneuzen. During the Sixties the company joined in the wave of industrialisation in the Zeelandic-Flanders Canal Zone. Verbrugge set about establishing good relations with companies based in and around Terneuzen. 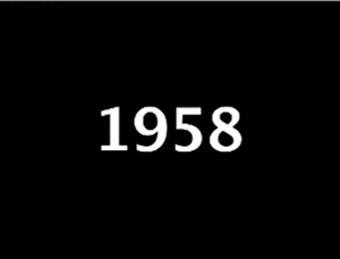 In 1963 the company expanded with a branch in Etten-Leur, and the following year with a branch in Gent. In 1964 Verbrugge entered into a joint venture with the Terneuzen based family firm, August de Meijer. This company focused primarily on port activities. Soon thereafter De Meijer-Verbrugge entered into a partnership with Stoomvaart Maatschappij Nederland (Netherland Line). The company held this course and in 1970 entered into a joint venture with the Royal Nedlloyd Group. In 1980 Verbrugge continued again under its own name; at the start of the Eighties the company had branches in the Netherlands (Terneuzen, Nieuwdorp, and Etten-Leur), Belgium (Tessenderloo and Gent) and in France (Lesquin and Roubaix). By this time Verbrugge had earned the reputation as a road and water distributor. The company covered all transport sectors: chemical products, wood and paper, fertilisers, insulation material, glass, aluminium and tobacco. During the Nineties cellulose production shifted from the northern hemisphere to the southern hemisphere. Verbrugge was one of the first to capitalise upon this, for example in Chile and Brazil. For optimum cargo handling Verbrugge requires space and draught. This resulted in the Scaldia port in (Flushing) Vlissingen-Oost. Verbrugge acquired in the year 2000 the Port of Flushing (NV Haven) and in 2008 Schotpoort Transport in Eerbeek. In 2013 Verbrugge expands with the start of a new terminal at Zeebrugge (Belgium). This terminal will not only handle breakbulk and project cargo, but will also convert breakbulk to containerized cargo and vice versa.